For all of our new and returning Brockman Bears and their parents, please remember to send in your Box Tops For Education, clipped from many of your favorite products. If you’re willing to participate, there’s also a bonus app for your cell phone or tablet, available at www.btfe.com/bonusapp. Every (unexpired) Box Top you send in gives Brockman one dime, sent twice a year to the school as a check. You can find Box Tops on popular kids’ foods like Annie’s, Larabar, and Cheerios, plus home-care supplies like Lysol, Kleenex, Hefty, and Ziploc. Simply tear off the Box Tops, put them in an envelope or baggie, and have your child put them in the bright pink Box Tops collection box near the front door of the school. They don’t have to be trimmed or packaged in any way; they just need to get to us. We’d love to have over $1000 this school year, and we’ll need every Bear’s help to get there! If you have any questions or need the full list of products emailed to you, please feel free to contact Erin Baldwin at dukelaw1@hotmail.com. Thank you all for your Box Tops contributions to Brockman! Look for FUNd Run pledge packets to come home with your child TODAY (10/22)! Be sure to ask your child about the packet and look it over together. They will ask friends and family to sponsor them with pledges. Sponsors can pledge by the minute (ex: $2 per minute = $40) or they can make a flat donation. They will bring their pledges in by Friday, November 9th when we host the big event. TOMORROW (10/23) is Yoga Day! Read this excerpt taken form PBS Parents to learn why Yoga and Kids is a great match! Your healthy tip of the day is brought to you by the FUNdRUN: how many colors can you eat today? (Artificial colors don’t count.) Have you ever tried purple cabbage, a red radish, or an orange sweet potato? They taste as different as they look. 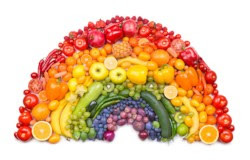 Eat a rainbow, and enjoy! Get Ready for the BROCKMAN BASH! The Brockman Bash is almost upon us! Get ready for concessions, games, prizes and costumes (that includes you parents)! 1) Return your Bash RSVP form by Monday, October 15th to reserve your child’s Brockman Student Bash card good for FREE food and games. *Additional Bash cards will be for sale for $5 on the night of the event. (one free Bash Card is available only for current Brockman students). 2) Return your cakewalk donation form by Monday, October 15th. We are looking for 3-4 donations from each class. Get creative and send us your spookiest, most delicious treats! Please contact Nici Comer at gamecomer5@gmail.com if you have any questions. The Bash will be held on Saturday, October 20th from 6-8pm. An extra special thank you to Marco’s Pizza for sponsoring our haunted house this year! We look forward to seeing Brockman students and their families at this fun fall event! For more information please contact Seema Madden at blueandque@yahoo.com or Jen Williamson at jenwilli@bellsouth.net. Tuesday during lunch, students, teachers and staff voted on a 2018 FUNd Run logo to go along with this year’s theme: “Dream Big, Let’s Play!” Dr. Stark even got in on the action! It was a close race but there was a clear winner – stay tuned for the results! We’ll kick off our official fundraising for the 5th Annual FUNd Run on October 22nd when pledge packets will be sent home with students – remember that 100% of the proceeds from our FUNd Run go back to Brockman, with a special emphasis this year on raising money for new playground equipment! Remember to mark your calendar for the day of the FUNd Run on November 9th as well. Want to volunteer for the FUNd Run or some of the exciting in school events leading up to the big day? Sign up here! 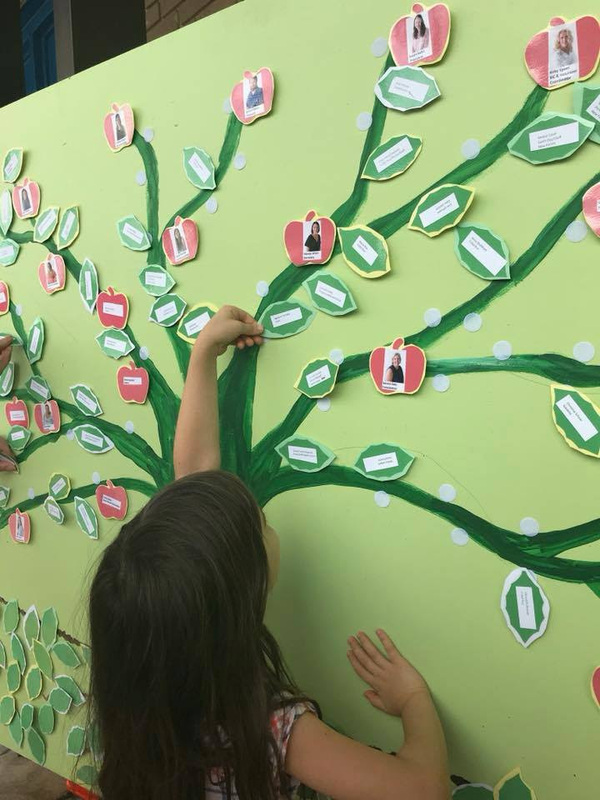 Are you part of Brockman’s Giving Tree? Please turn in your membership form (or fill out online) and help support the PTO. The deadline to order a school directory is Monday, October 15. We need everyone to give either a little of time or money to keep our school going strong. You can also sign up for a PTO or Arts Steering Committee here. New to Brockman? Here’s the link so you can complete a background check to volunteer. School Sponsorships – This Friday is the last day to make a commitment to sponsor and be included in the school directory. Do You Have Peace Day Pictures? Send the yearbook committee your best 2 or 3 photos. We love closeups, group shots and photos showing a diverse crowd. Send photos to brockmanyearbook@gmail.com. Brockman FUNd Run 2018 – It’s Kick Off Time! The kickoff for the Brockman FUNdRUN is TOMORROW, October 9th! The run itself will be on November 9th, but there will be lots of fun and events leading up to the BIG DAY. We will be providing information to the children all month long about healthy living, including nutrition, sleep and the importance of movement. Our theme this year is “Dream Big – Let’s Play!” with the goal of raising money for new playground equipment in the future. New to Brockman and don’t know what this is all about? Any families wishing to volunteer to help with the FUNd RUN? You will get your chance, don’t worry. We’ll send an email detailing the opportunities to participate on this wonderful day of activity and Brockman spirit! On Saturday, October 13th, our staff team “Richland 1 – Brockman Bears” will walk in the annual 5K to raise funds to support Palmetto Health Breast Center. Parents and families are more than welcome to join us for this important service opportunity. Click here to register to walk or make a donation. Registration is open until September 27th. For more information, contact team captain, Georgia Godfrey, at georgia.godfrey@richlandone.org.